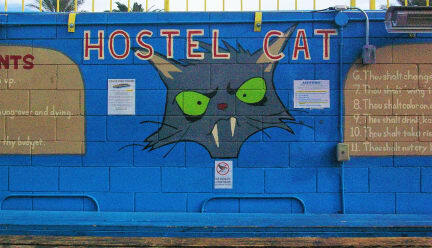 Hostel Cat i Las Vegas, USA : Boka nu! Awesome place for travelers that love to be social and love to party! Had an amazing experience here! Vegas is like getting hit really hard in your nuts. It hurts for a couple of days, but in the end you're glad you know what everybody is talking about. Good hostel. Staff not very cheerful. No wifi since I stayed in the room furthest away from the common area. Supposed to be a "party hostel", but no signs of party when I was there. 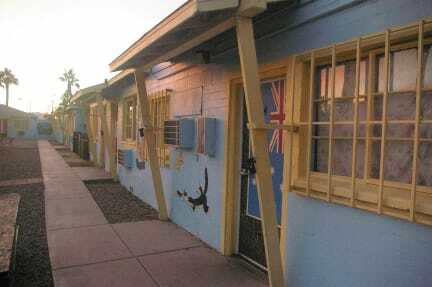 But you should always stay at a hostel and this one is the best in Las Vegas. We stayed there for three nights, the place was really cheap and it was really easy to get to the strip, the bus outside worked 27/7.We are underage but I know that they organize a lot of activities and crawls, people from the hostel can get in cheaper into pubs and discos.The only negative moment was when we arrived: we got to the hostel 30 minuted before the check in and we had to pay 3 dollars to have access to the room... had never happened us before.Moreover I had to pay for using card. I efterhand hade jag nog tagit in på hotell i stället, då man kan bo bra och billigt i Vegas. Temperaturen på rummet var otroligt hög och omöjlig att reglera och när när någon sedan drog ur sladden till AC:n så blev det iskallt istället. Tog otroligt lång tid att checka in och ut, rätt nedgånget och i köket är det motorväg.